At the annual BlackBerry Live conference in Orlando, Florida it was announced that BlackBerry Messenger (BBM) would be released for iOS and Android devices this summer (subject to approval by Google Play and the Apple App Store, as applicable). This is seen as a bold move as it abandons the platform exclusivity, which was thought to have been key to customer loyalty, by sharing what was often thought of as among the company’s crown jewels. 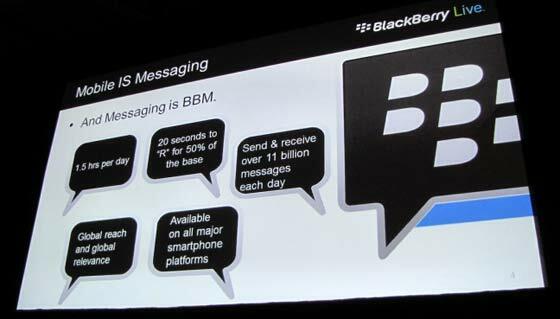 The BlackBerry Messenger app will be free and available to iOS v6 or higher and Android v4 or higher device users. The app on these rival platforms will be able to take part in BBM chats, including multi-person chat sessions, engage in BBM Groups and share photos and voice notes. There was no indication whether a Windows Phone version would be made available. Putting a predictably positive spin on things BlackBerry CEO Thorsten Heins called the move “a statement of confidence”. However the move could easily be interpreted in much less positive ways. The mobile instant messaging business is huge and seems to be growing at a pace; recently such messages eclipsed the use of SMS. BBM currently has over 60 million monthly active users but established multi-platform rivals such as WhatsApp and WeChat both claim to have around 200 million unique monthly users. As well as the headlining BBM news, the BlackBerry management also announced a minor update to the BB10 operating system called BB 10.1 – to be rolled out over the next week. Also a new lower-end smartphone aimed at emerging markets was revealed. 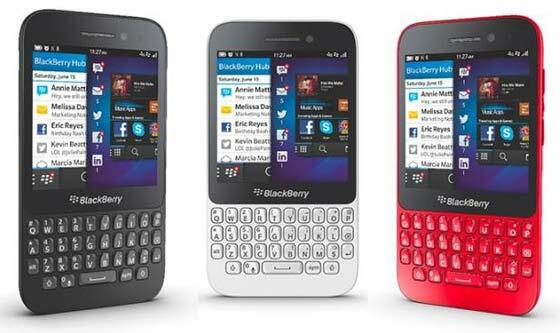 The BlackBerry Q5 is a QWERTY smartphone running BB10 and will be available in black, white and red variants, as pictured above. I think this spells the end for BlackBerry devices. BBM is one of the few reasons why they can sell devices anymore. BB stop making phones and transition into a messaging service company like WhatsApp but with more beards. You could think of it another way - cross-platform app support on BB isn't as good as iOS or Android, so people who wanted a Blackberry but wanted to keep in touch with their non-BB contacts without SMS might have chosen to go with something else instead. Now, they could get a Blackberry and know they can still communicate with contacts for free(ish). TBH most of the people I know who own a Blackberry do so because it's a good phone for their needs, Blackberry Messenger is of little importance to them. I wonder if this means people won't need a special/extra BB data plan any more?